This quote, from an interview on the Malta Independent with Liam Gauci regarding his new publication “ In the Name of the Prince – Maltese Corsairs 1760 – 1798 “ immediately caught our attention and hit home. Finally, a fresh approach to our Maltese history, which in our opinion was way overdue. 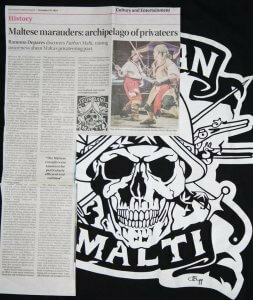 Death to the cowards and gold to the brave – Maltese Corsairs in battle. Which brings us to the good news, for all those who would like to learn more about our ancestral maritime warriors and even better news for all those who grew up watching Sandokan, Il Corsaro Nero, Crimson Pirate and all the other swashbuckling movies back in the days. Or perhaps those who have watched the new pirate series Black Sails. Without a shadow of a doubt ‘Corsairing’ was another important and legalised ‘’serviced based’’ profession Malta had to offer. Even during the last years of the Order’s rule. Ironically, some of those “helpless” farmers would have also joined expeditions in the summer as “Part-Timer” Corsairs. Numerous articles about this book have already been written. (The links of which can be found below for further reading). Therefore rather than repeating what already has been well articulated and explained, we shall be looking at this publication from another perspective. Reading through the first few chapters, the writing style immediately grabs and immerses you in this forgotten world of the Corsairs. Soon, you find yourself re-living the adventures of these Maltese Sea Wolves assisted by the numerous illustrations and images displayed on most of the pages thanks to Daniel Cilia. The real actual verbal statements uttered by the Maltese corsairs bring this book to life and turn it into a high seas adventure. 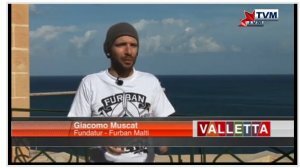 For this we are indebted to the many years of research by Liam Gauci in his own ‘’hunt’’ to discover this community of Sea Wolves based in Malta. Actual Corsair Chest found at the Birgu Maritime Museum. 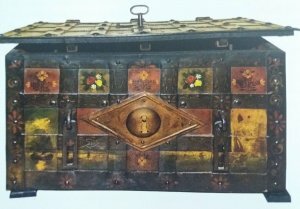 Three keys were needed to open this chest…Call it “trust issues” but then again do remember .. all your mates on board plunder and steal for a living. Amongst the various primary sources needed to accomplish this were the actual testimonies of the Corsairs’ from the numerous court cases they found themselves in. Another important source were the entries from their logbooks, which by law had to be kept on board minuting every detail that occurred for each voyage. Since merely trusting individuals who plunder for living to declare all the prizes to be taxed back in Malta wasn’t really the smartest thing to do, luckily for today’s researchers. The Corsairs’ descriptions of their battles, victories, disasters, tactics, near death experiences and miraculous escapes unearth all the elements that give that human feel in the writing such as fear, despair , confusion hope , courage, determination and faith. 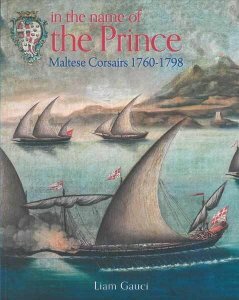 These factors, which can be observed straight from the “Corsair’s” mouth (from over 2,000 individual corsairs researched by Liam) definitely gives this book that incredible authentic, raw feel which easily allows the reader to conjure up the imagination and let it run wild as already mentioned. One cannot not mention that all the while, numerous Corsairs Captains with whom we “are aboard ” have surnames like Galea, Desira, Camilleri, Borg, Gera , Sammut , Stafrag. This, for us at least, is the icing on the cake that gives that special Maltese touch and pride on this historical journey in search for plunder and glory. The first chapter “A Principality for Corsairs” gives an analysis of the Corsairing situation at the time , including our personal favourite of how the Maltese managed to pull one over the Pope’s power on whom we could and could not attack (Hint – one of major loopholes lies in the Title of the Book itself – “In the Name of the Prince“). 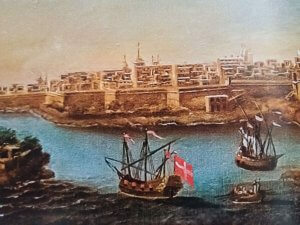 “The Corsair Community” Chapter is next in line detailing the most popular towns in Malta from which the Corsairs hailed, which contrary to what one may think attracted individuals from all over Malta , not just the harbour area, many also from our sister island of Gozo. We are then soon introduced to “ The Captains” a chapter which as the name suggests puts us in front of some of the toughest captains to be found in the Mediterranean, all operating from Malta. A short biography of each one’s exploits follows. One imagines himself being an investor presented with a number of CV’s to analyse, in order to decide which Captain best to invest in and likely to get us the most prizes. Or perhaps a Corsair deciding which captain is most likely to make us rich but also bring us back alive from the perilous voyage that lies ahead. These amazing and action packed tales of our Captains, have barely left our minds when we are introduced to the chapter “Tools of the Trade” with which the Corsairs carried out their profession . Which as you can imagine deals with weapons (lots of them), armed vessels and naturally plenty of rum, wine and of course the Maltese Corsairs’ favourite drink: grappa. Next we find ourselves with the Captains on board our newly armed and financed vessel, carrying out those final preparations in the chapter “Leaving Harbour and Mastering a Crew”. Our vessel departs, though not all make it alive as one crew member is extremely unlucky enough to fall overboard as soon as we leave the harbour and drowns instantly. Not all will reap riches, nor will they all die a glorious death in the process, this is the real deal. 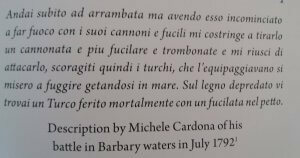 On the way to the Barbary coast a number of Corsairs stop in Lampedusa to repair and re-supply in the “ Hunting Grounds & Island bases” chapter. Yet, the crafty ones , with an eye for the real profits decide to venture into forbidden hunting grounds by using another ‘trick of the trade” that “ due to contrary winds we were obliged to pursue and easterly course “. So now ladies and gentlemen it’s the rich hunting grounds of the Levant and Greek islands for us. Plundering all we can find whilst deep in enemy occupied territory, it’s not long before we find ourselves dodging musket and cannon fire. Whilst simultaneously firing grape shot all over the enemy vessel and rigging before boarding with sword and pistols onto the now blooded decks. It’s to be expected, this is the “Into Battle: Power. Profits & the Glory” chapter. No tactic is dangerous nor audacious enough to be ignored if there is a calculated chance that it will succeed and result in a profit. Captain Stafrag points to a cliff overlooking a harbour and orders us to set a gun platform, as stealthily as possible till the signal is given. Now as the trap is sprung and the flag of the Order is arrogantly hoisted next to the cannon on Greek soil, the helpless Greek vessel lies trapped in the harbour. With our gun trained on it ready to open fire, the vessel wisely surrenders. 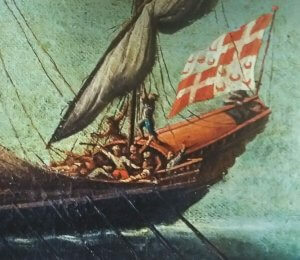 A decision most vessels immediately make when the Flag of the Prince is hoisted and one immediately realises it’s the Maltese Corsairs. The credits however don’t roll over just yet. The stark reality to an over glamorised role as portrayed in today’s movies is immediately “cut down” and the harsh day to day realities of the job are upon us. As you are by now noticing, the captains are under immense pressure to ensure they capture enough booty to satisfy the investors back home, whilst avoiding heavily armed vessels out to capture them. There’s more than just the financial aspects and lawsuits, their reputation and pride is also at stake. Whilst these thoughts continually rotate in their heads, they must also manage a rowdy crew, a good number of them would slit your throat without blinking, whilst an even greater number of the crew are drunk on wine and grappa . As we shall see, in the chapter “Discipline, Desertion & Mutiny” controlling and earning their respect is another not so easy burden, sometimes with “expensive” consequences. If that is not enough for our Captain, then the various other forms by which failure and the grim reaper may present themselves are soon upon us in the “Defeat: Enslavement , shipwreck and death” chapter. Indeed, one captain in particular will not be mentioned in the final chapter “Return to Port”. A cannonball that hit his right thigh and a shot from a blunderbuss straight through his heart seconds later has made sure of that. Forget any appointments for the rest of the day ladies and gentlemen. Once you flip this book open, the only place your going is on an action packed voyage with the Maltese Corsairs. Whilst we eagerly look forward to Liam’s next publication in the years to come, for all of you who in the meantime wish to acquire a copy , you may do so from either BDL BOOKS or HERITAGE MALTA links below:.